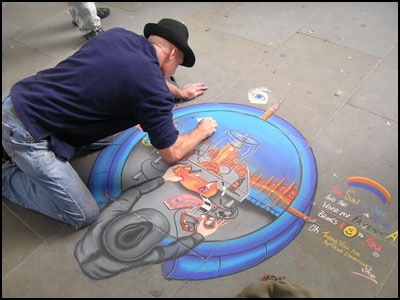 Do you know the pavement art? Artists draw nice pictures on the ground (on the pavement) and pedestrians who like their work put some coins in their pot. This one was cool, the guy as been here for several hours, it was by Leicester Square.